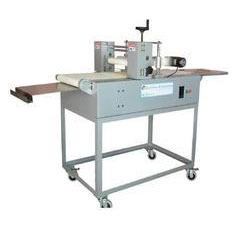 - Cutting capacity size: mass of width 400 mm and thickness 110mm. - Cutting force 250kg max. the long cutted bars are passed through machine here they are cutted into required size cakes ready to pack with packing machine. Adjustable speed and time of depositing rollers. : Reverse cycle of depositing rollers for clean detachment. : Adjustable speed for rotation of nozzles. : Automatic advancement of tray. : Height adjustable conveyor belt. Mono Equipment's New Cake Portioner has been designed to reduce your slicing time and increase production. 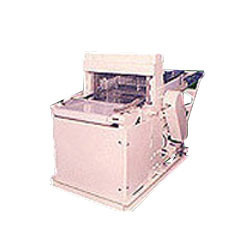 Suitable for slicing a wide range of soft round cakes and desserts between 152-305mm diameter and 25-178mm high, each Cake Portioner can slice between 2 to 16 slices in approximately 30 seconds.